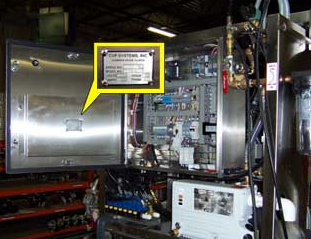 The A-200 serial number plates are located on the inner door panel of the large electrical box at the rear of the CVP® machine. 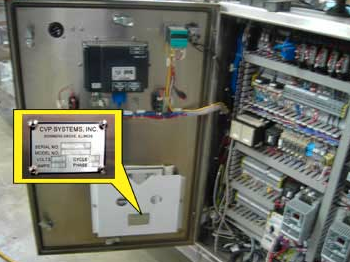 The A-200 Overhead serial number plates are located on the inner door panel of the large electrical box at the rear of the CVP® machine. 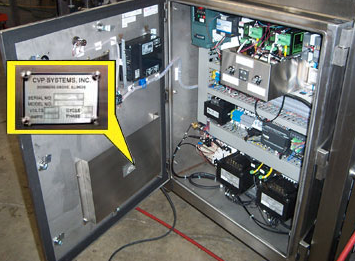 The A-300 serial number plates are located on the right side plate (when viewed from the front) in the upper front cover. The A-600 plates are located on the right side of the main body (when viewed from the front). 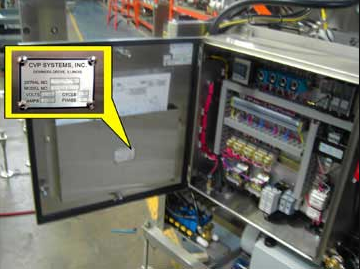 The MasterPACKer® serial number plates are located in the electrical control panel at the rear of the CVP® machine. 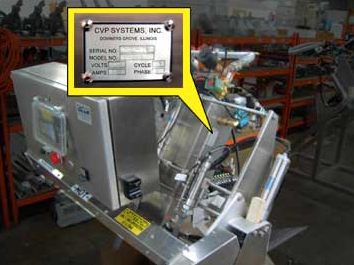 The Z-2200 and Z-2500 serial number plates are located in the electrical control panel at the side of the CVP® machine. 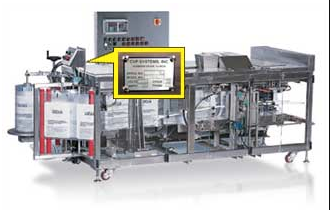 The Z-1200 serial number plates are located on the right side frame next to the secondary operator panel on the roll underside of theCVP® machine. 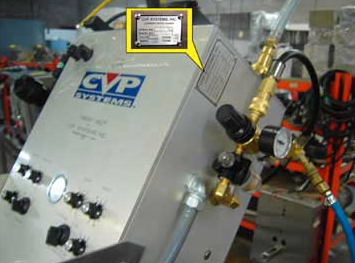 The serial number is also stamped on the motor mount at the discharge end of the CVP® machine.